Okay, I must admit.. this new style is starting to grow on me a little. After seeing Rihanna and Zoe Kravitz tote their Balenciaga Cable Shopper around, it's making me think that this bag actually looks nice. What attracts me the most to this is it's simplistic square shape. No extra bells or whistles except for the gold-toned plaque and for handles it uses coated cable wires. Some bags can overwhelm an outfit but this one does not. What I do question is the comfort/practicality of this tote, it looks like it was never meant to sit on the shoulder so it's pretty much handheld all the way for this style. Kudos to Balenciaga for trying something new and completely different. Adriana Lima was spotted arriving for the Eminem and Rihanna Monster Tour in Pasadena (August 7). She was all smiles while she carried her Balenciaga Mini Classic City in Black in her hand. Ashley Olsen and twin sister Mary-Kate arrive on a flight at LAX Airport on July 22, 2014 in Los Angeles, California. The actress was spotted carrying her well loved brown colored Balenciaga Ponyhair Weekender bag. This bag is no longer produced and is believed to be from 2006. It's nice to see celebrities bring out their old Balenciagas! Jordana Brewster was spotted arriving for dinner at Craig's restaurant on Saturday (July 5) in West Hollywood, California. The actress kept her look summery wearing all white with her chic Balenciaga Raffia Tote from a previous season. 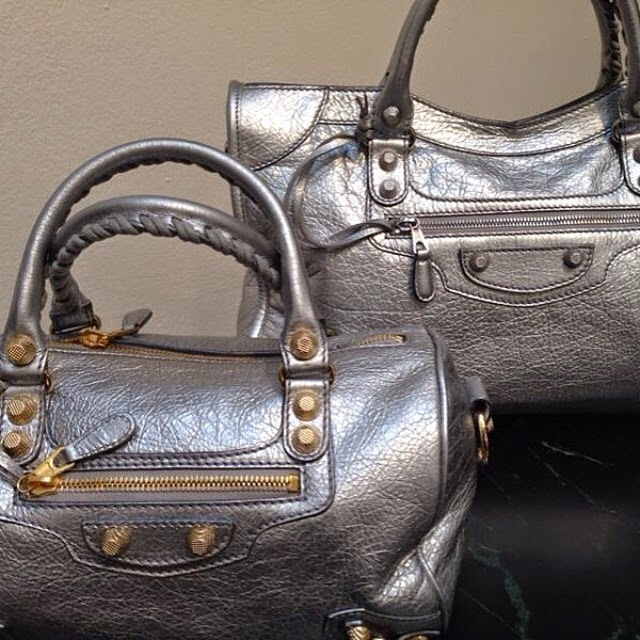 Balenciaga now sold at Bergdorf Goodman online! Great news for those looking to save on sales tax for Balenciaga purchases. 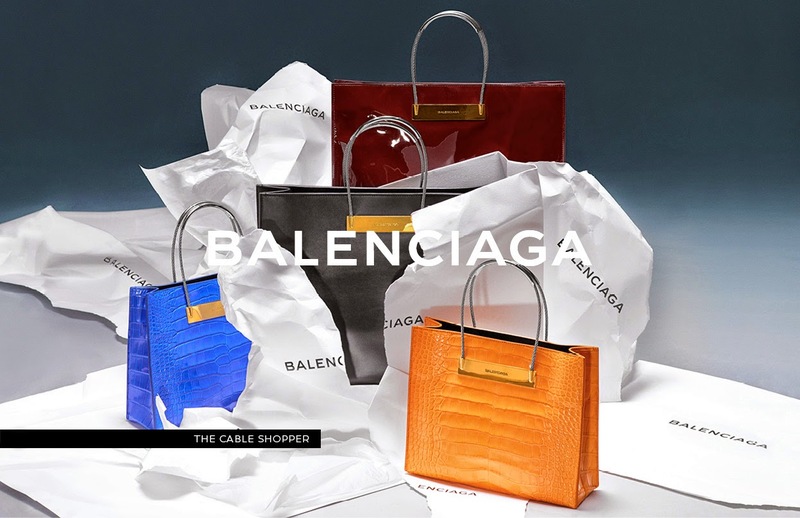 Bergdorf Goodman is now selling Balenciaga RTW, shoes, accessories and handbags! If you live outside the state of New York, you will not be charged sales tax. This nice little loophole will be substantial in savings for big purchases. They are my go to place for handbags! Miley Cyrus flashes a smile while making her way inside the Ziggo Dome on Sunday, June 22, 2014 in Amsterdam, Netherlands. The singer carries two backpacks - one by Balenciaga in Rose Poudre and a Marc By Marc Jacobs Dynamite Logo Neoprene version. 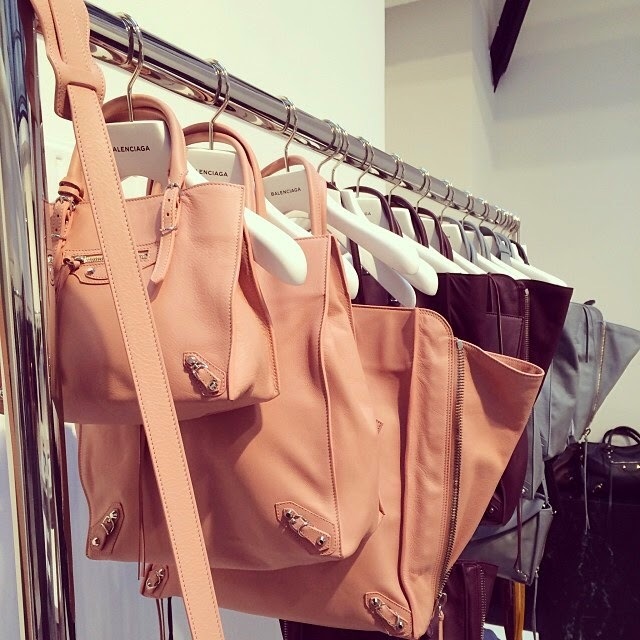 A nice little preview on what's to come for Balenciaga Fall 2014 colors for the Classic and Giant lines. 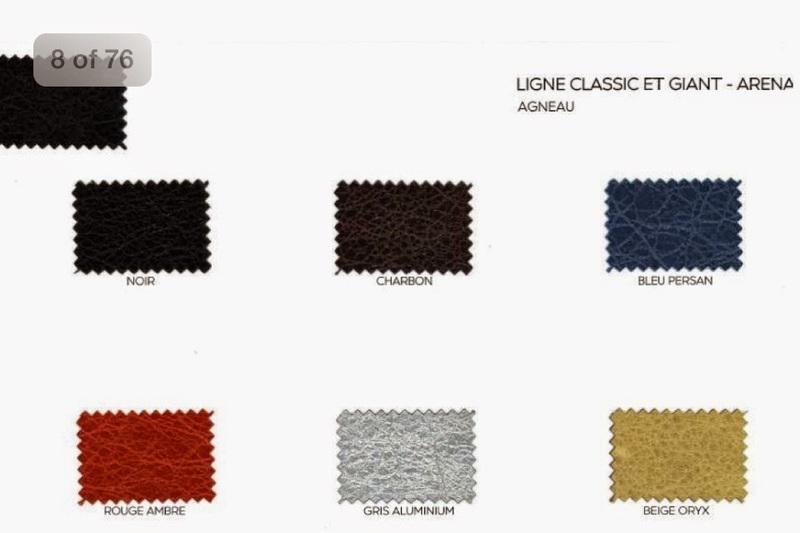 We can expect to see Noir, Charbon, Bleu Persan, Rouge Ambre, Gris Aluminum, and Beige Oryx so far. Today, there is a substantial price increase among certain Balenciaga Motorcycle bags which also coincide with Chanel's price increase on leather goods. The price increase is now live on Balenciaga.com. I've noticed the items most affected are the Classic bags with tassels which have gone up $300 max, but Giant hardware bags have increased about $100 or less. Supposedly this was done to bridge the huge price gap between the Giant Hardware and Classic bags. This was done because the hardware sizes are pretty much the same now that G21 hardware has been discontinued for quite sometime. Balenciaga Classic City from $1545 to $1835 (Old price here). Jennifer Lawrence headed over to “Good Morning America” in New York City on Monday, April 21, 2014. The beautiful Hunger Games actress looked pretty in pastels including her pale pink (Rose Poudre) Balenciaga Tube Clutch in the large size accented in gold hardware. Kyle Richards and husband were spotted taking their daughter Portia out for lunch at Il Pastaio in Beverly Hills, California on April 12, 2014. The reality tv star carried a Balenciaga Mini City G12 in Rose Azaelee. The pink and gold hardware go together really well! Rochelle Humes was spotted attending a rehearsal with The Saturdays today, March 27, 2014. The singer was spotted carrying her gorgeous Balenciaga Suede City in Bleu Nuit. It looks very purple here though! Her version is the G12 without the tassels which costs a bit more at $1895. Vanessa Hudgens was spotted shopping with a brand new Balenciaga bag! 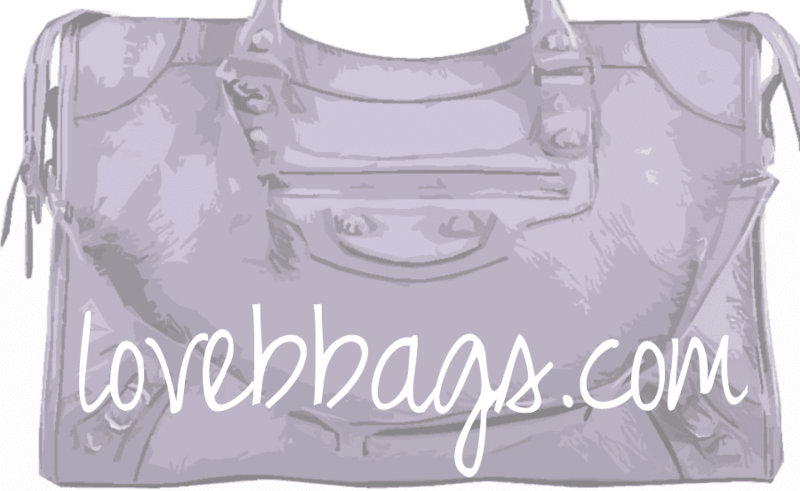 She carries the adorable Balenciaga A4 Mini Zip Around Papier Tote in black! Anne Hathaway and husband Adam Schulman were spotted in Miami, FL on March 9, 2014. The actress looked casual while carrying her Balenciaga Papier A4 Zip Around Mini Tote in bright yellow!